Shankar's magnum opus Ai with VIkram and Amy Jackson is nearing completion and the film is expected to release as a Tamil newyear attraction. Shankar who is working without taking a break recently shot the climax of the film produced by Oscar V.Ravidhanrdan. 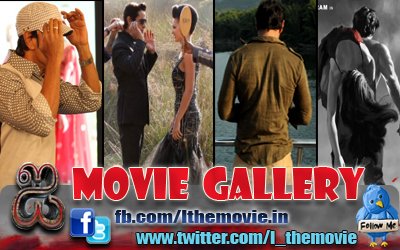 The scene included Vikram and Upen Patel who plays the role of a villain in the film as per sources close to the film. The scene as come out exceptionally well and the ace director is completely satisfied with the outcome. With this the films shoot is expected to be completed very soon. Shankar's lucky mascot A.R.Rahman is scoring music for the film and P.C.Sriram, one of India's most respected cinematographers is teaming up with Shankar for the first time in this film. The latest we hear from sources close to the unit is that the film has another proud addition to its ist of technicians. 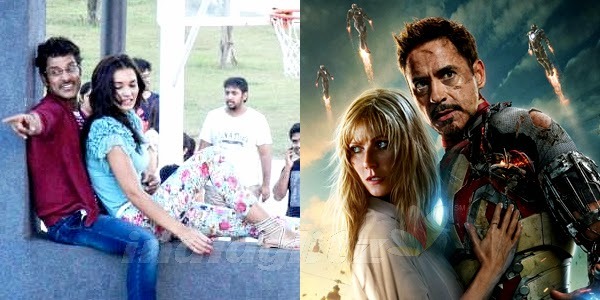 Shankar has reportedly roped in Alfred of Iron man 3 fame and a few others for the stunt co-ordination of the film.